The Canada Revenue Agency is defending its collection of back taxes from indigenous former employees of O.I. 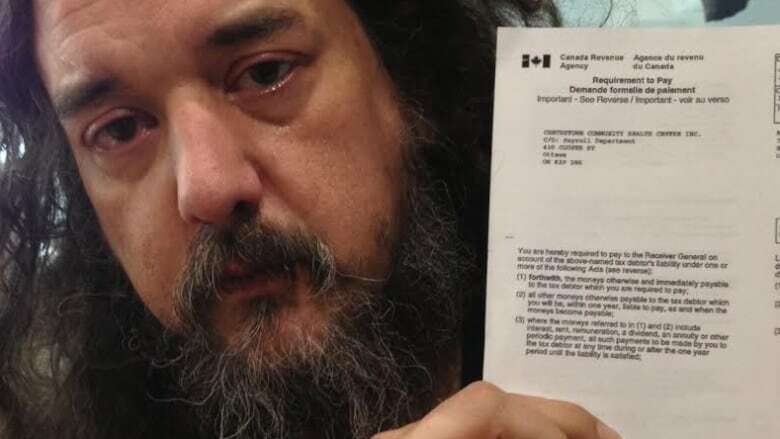 Leasing after an Ottawa man owing more than $190,000 said he believed he was doing nothing wrong and that he'll never be able to pay the debt. The Canada Revenue Agency is defending its collection of back taxes from indigenous former employees of the O.I. Group of Companies after an Ottawa man owing more than $190,000 said he believed he was doing nothing wrong and that he'll never be able to pay the debt. Nearly 4,000 former employees of the O.I. Group of Companies and Native Leasing Services — an outsourcing company based in Six Nations of the Grand River, a First Nation near Brantford, Ont. — are seeking a remission order from National Revenue Minister Diane Lebouthillier to suspend collections. Status Indians are exempt from taxation on income earned on-reserve under Section 87 of the Indian Act, and the company's objective was to offer First Nations people the same incentive to work for indigenous organizations off-reserve. But after a series of court challenges in the early 2000s, CRA started targeting individuals such as Ottawa's Miche Jette, demanding taxes on income earned off-reserve even though they were working for aboriginal organizations based on-reserve. In 1999, Jette was hired through the outsourcing company to work at the now-defunct advocacy group Aboriginal Healing Foundation. He is now a receptionist and front-line worker at the Centretown Community Health Centre, and recently learned his income will be garnisheed until the debt — $191,471.97 and climbing — is paid off. He makes roughly $2,000 a month. "It's urgent. It eats at me. I can't sleep. I'm miserable. I'm depressed. I cry a lot. I'm angry. I'm sad. And I want it dealt with," he said earlier this week. In 1992, a Supreme Court of Canada decision "established a 'connecting factors' test in order to identify if income earned or received by an Indigenous Canadian is 'situated on a reserve,'" the CRA said in an email statement this week. "Based on the connecting factors test established by the [Supreme Court], the CRA determined that the income earned by the ... employees was not situated on a reserve and therefore not exempt from tax." Since then, the Federal Court of Appeal and Supreme Court have affirmed the CRA's tax assessments in numerous other rulings. About 1,200 employees have appealed their tax assessments to the Tax Court of Canada, and only four were successful, the CRA said. As of this February the CRA had received 736 requests for relief from interest on tax debt, "primarily based on financial hardship," the CRA said. So far 728 of those requests have been reviewed and the CRA "has allowed, in full or in part, approximately 40 per cent of them." More than 1,000 cases have been resolved, CRA said, adding it began centralizing work done on these collections in 2006 "to ensure consistency and sensitivity in addressing the various issues." Legal steps have been taken with people who have not co-operated with CRA, the agency said. "The CRA has attempted to work with each individual in negotiating payment arrangements based on the individual's ability to pay. Where co-operation from the individual has not been received, legal actions have been initiated on their accounts," the statement reads. The remission being sought by former employees is an "extraordinary measure," CRA said, but "may be considered where the collection of tax would be unreasonable or unjust, or where remission would otherwise be in the public interest. It is usually used when all other means, such as objections or appeals, have been tried."